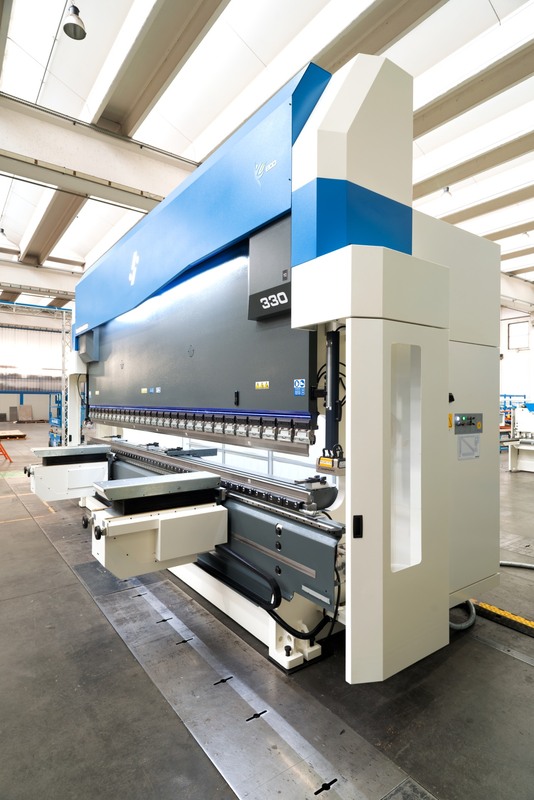 A few weeks ago we delivered a really nice press brake, both technically and aesthetically speaking. It is a 330-ton X-Press Next with a useful bend length of 6100 mm. 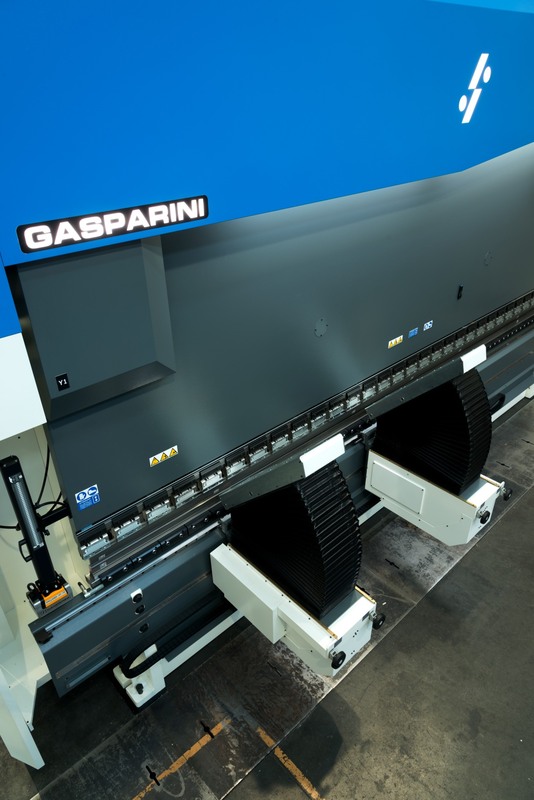 The machine is equipped with the innovative adaptive Gasparini Adaptive Crowning, which controls the deformation of the ram in real time and compensates it in a controlled way. The ECO package, with inverter control of the main motor, guarantees high ram speed combined with lower energy consumption and oil stress. The 500 mm throat, combined with the increased daylight of 600 mm and the extended stroke of 400 mm, enables even large parts to be produced with the greatest ease. 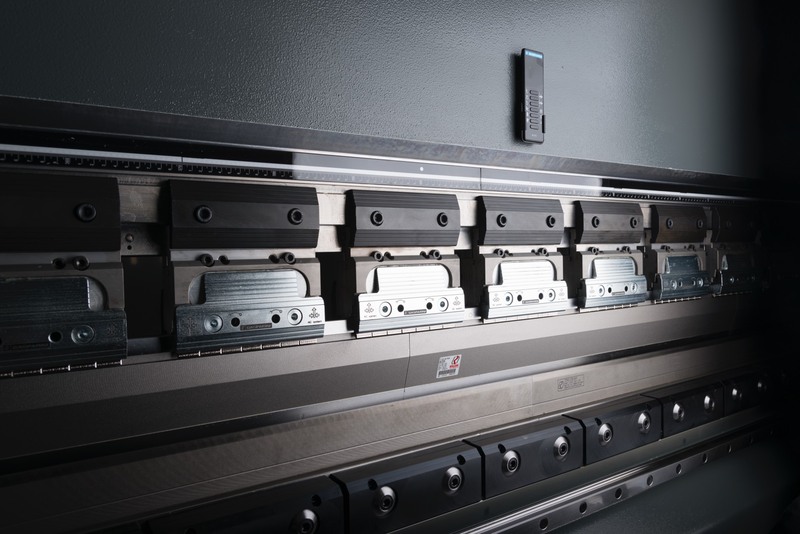 The Delem DA-66T CNC with touchscreen display on a mobile stand manages the 5-axis X-R-Z1-Z2-X6 backgauge, which allows conical bends of up to 75° offset to be created. In the front part of the machine we have also installed the new electric sheet metal lifters, together with the new Drive Bar for the positioning of the tools in the correct place. The standard pedal board has been replaced by two wireless pedals for greater ergonomics and ease of use. The dies are clamped hydraulically. 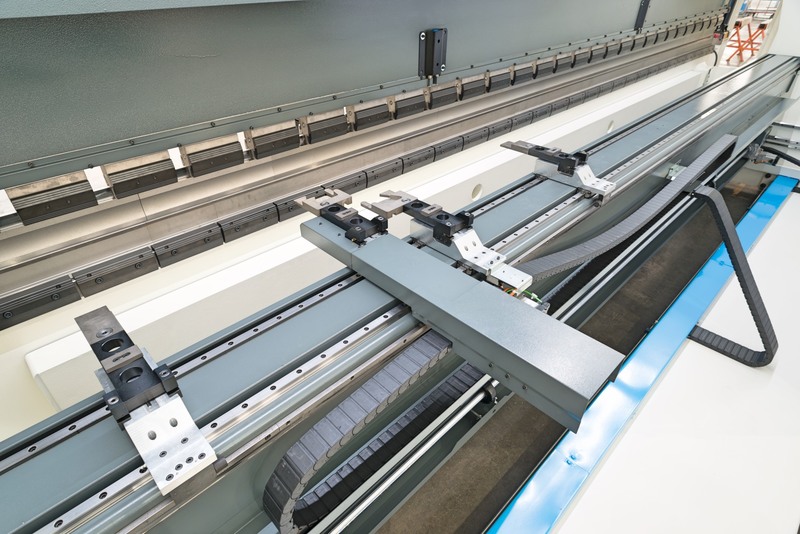 For the punches, on the other hand, we have installed the new AirSlide sliding pneumatic clamps, which can be positioned freely along the entire length of the machine in any combination and arrangement. And last but not least, the Syner-G remote lets you access frequent commands easily and conveniently from anywhere.